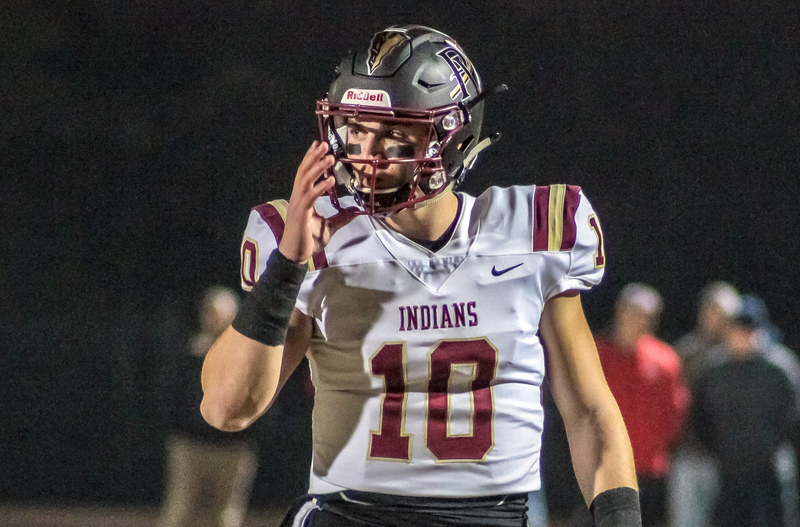 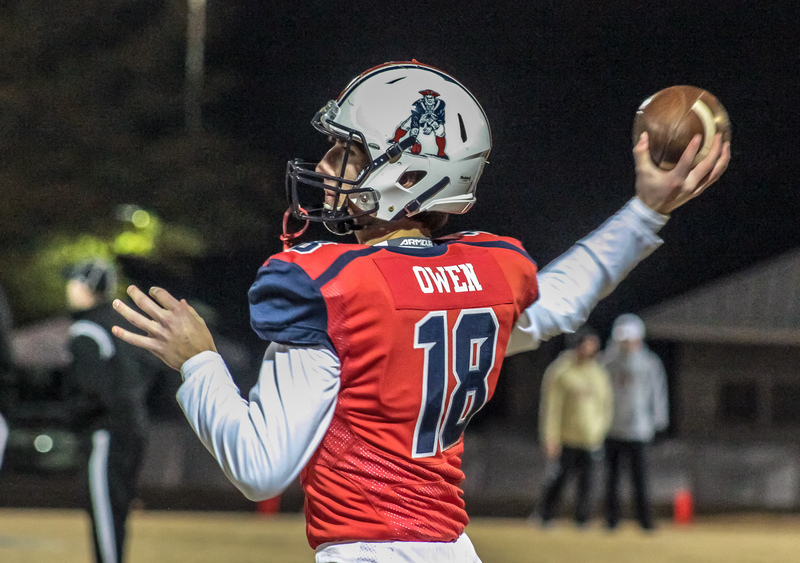 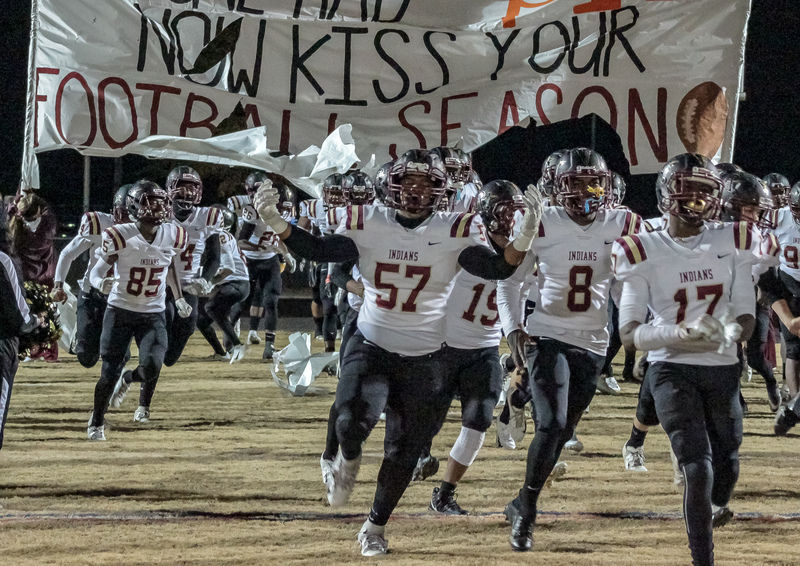 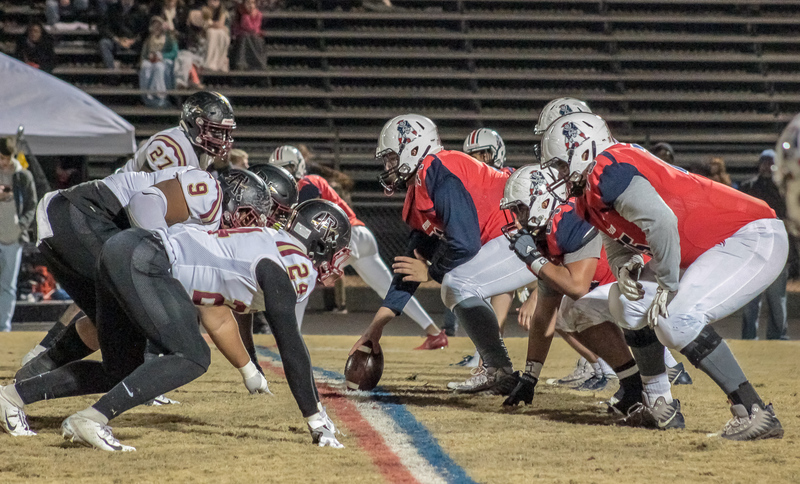 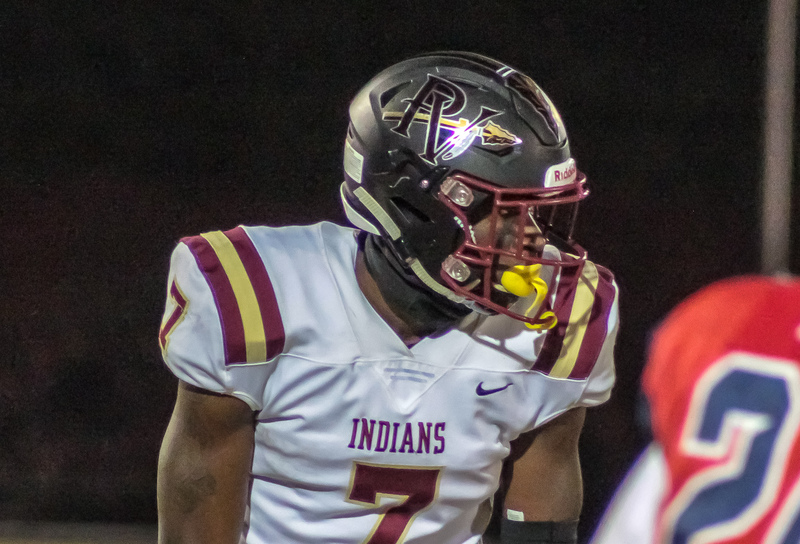 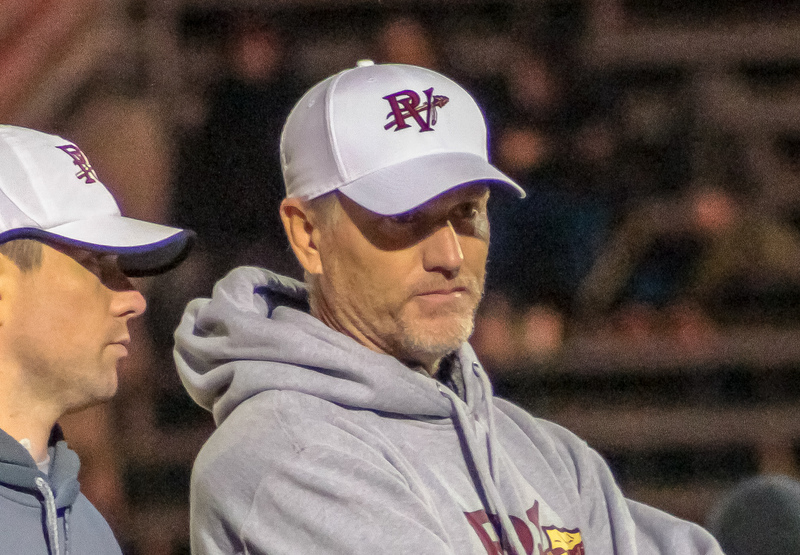 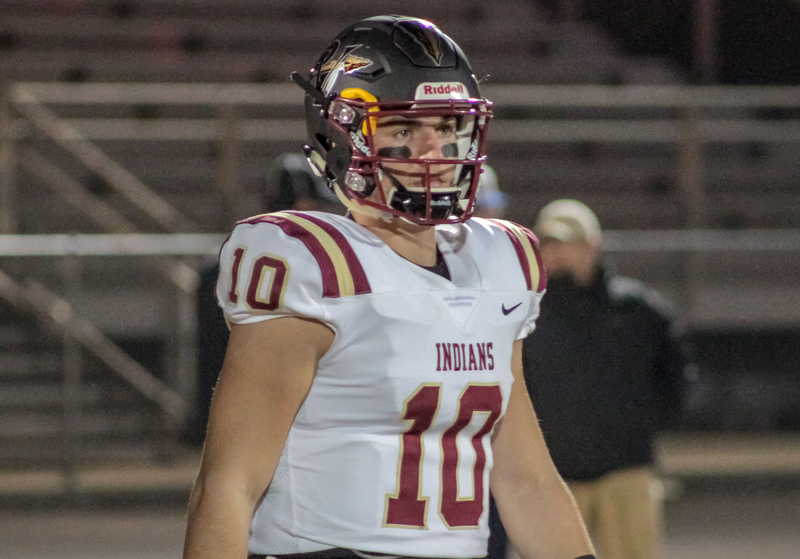 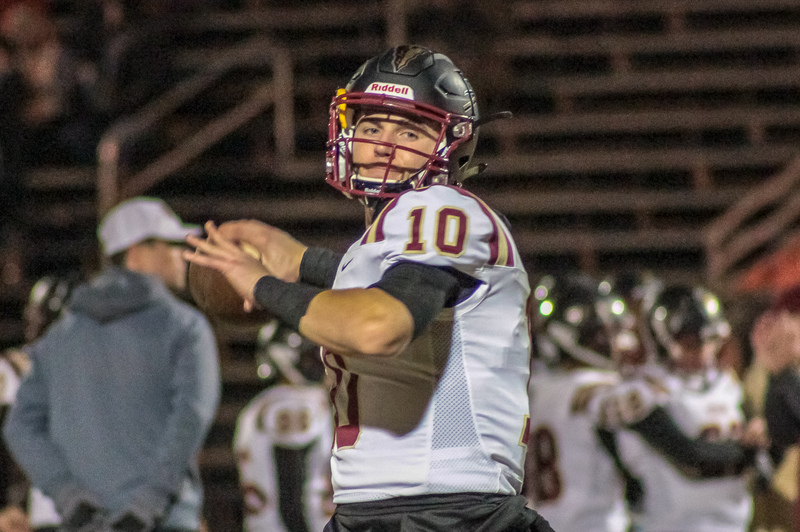 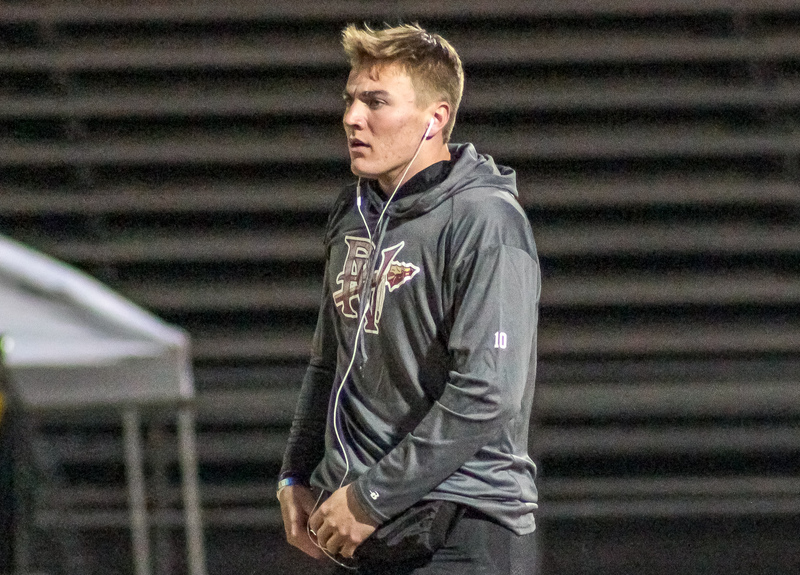 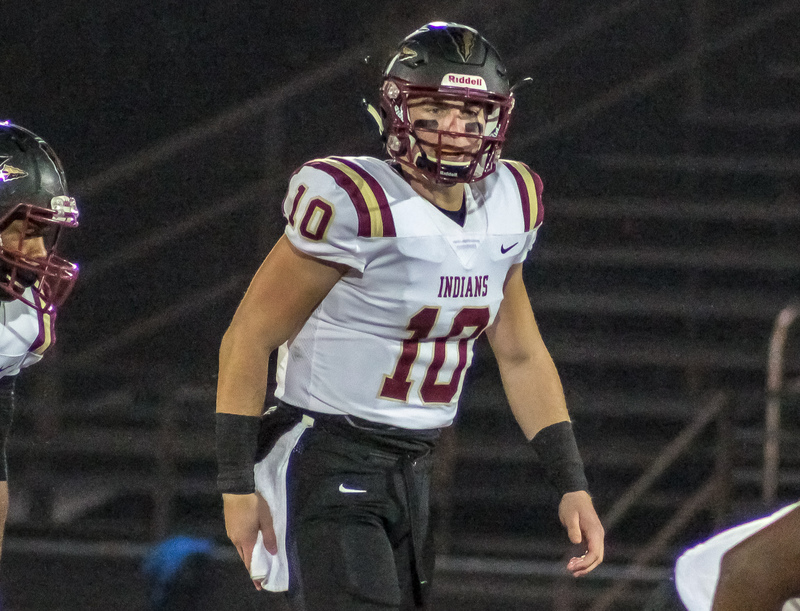 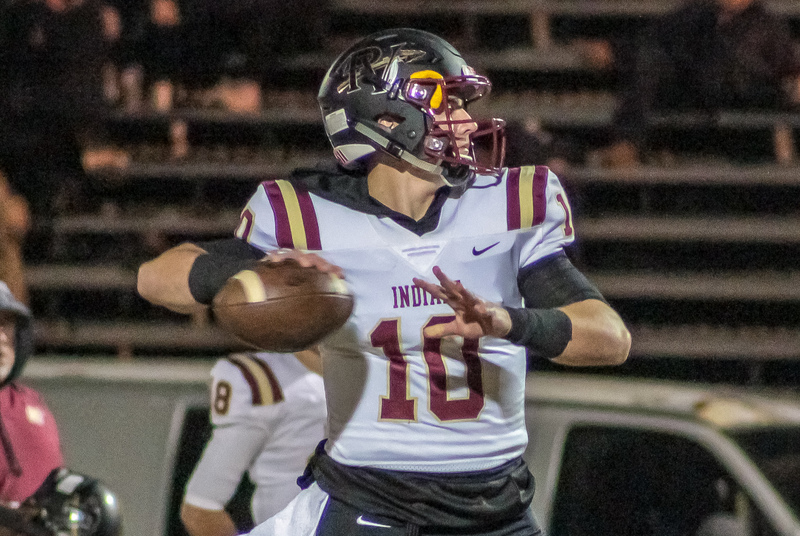 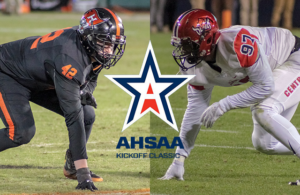 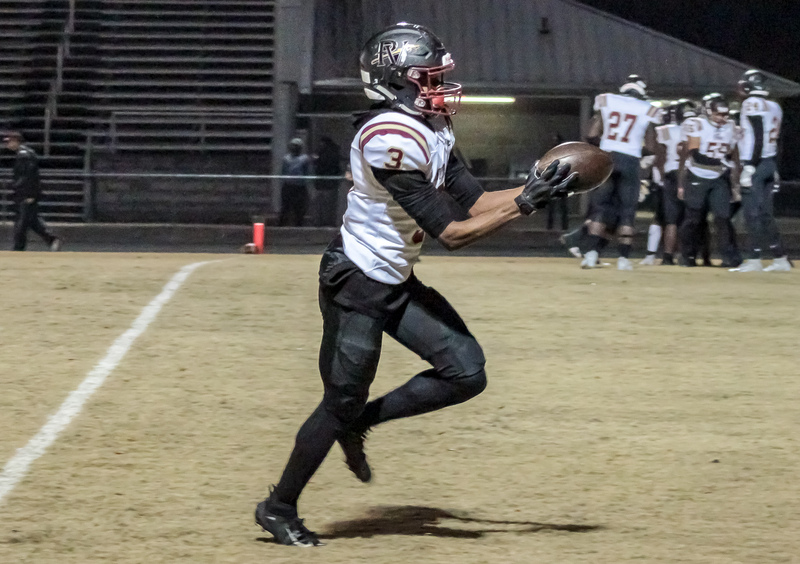 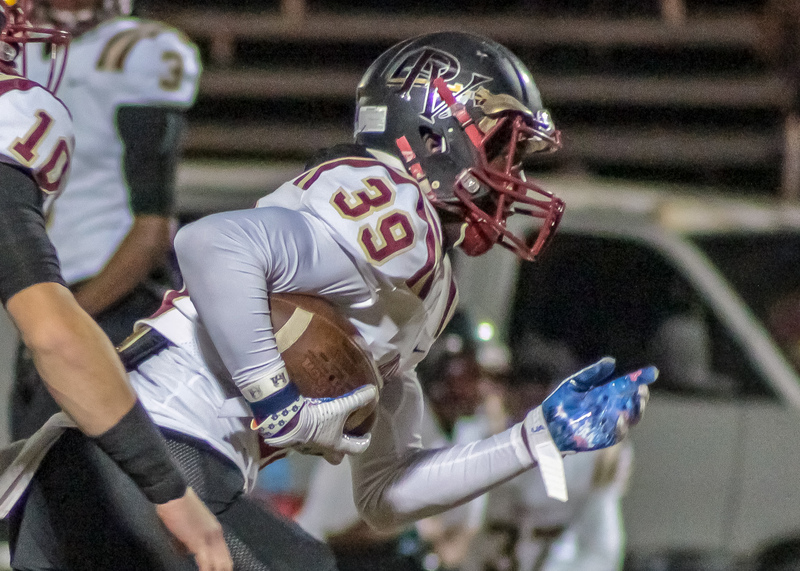 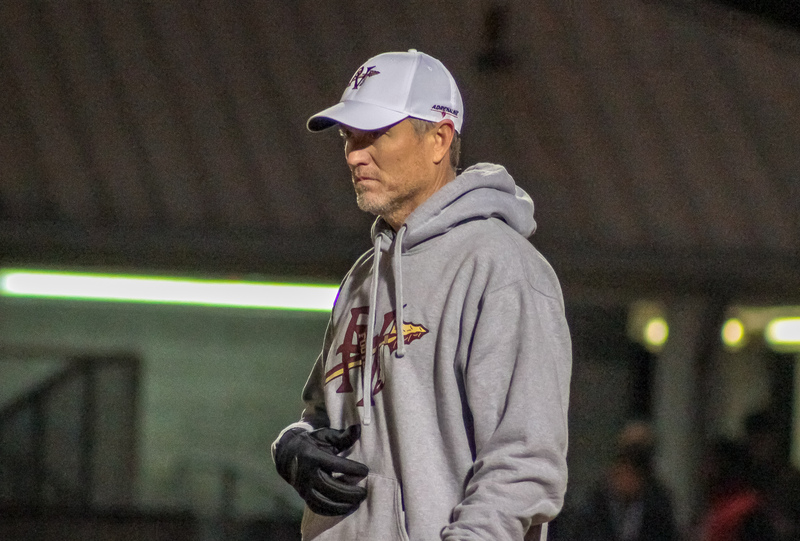 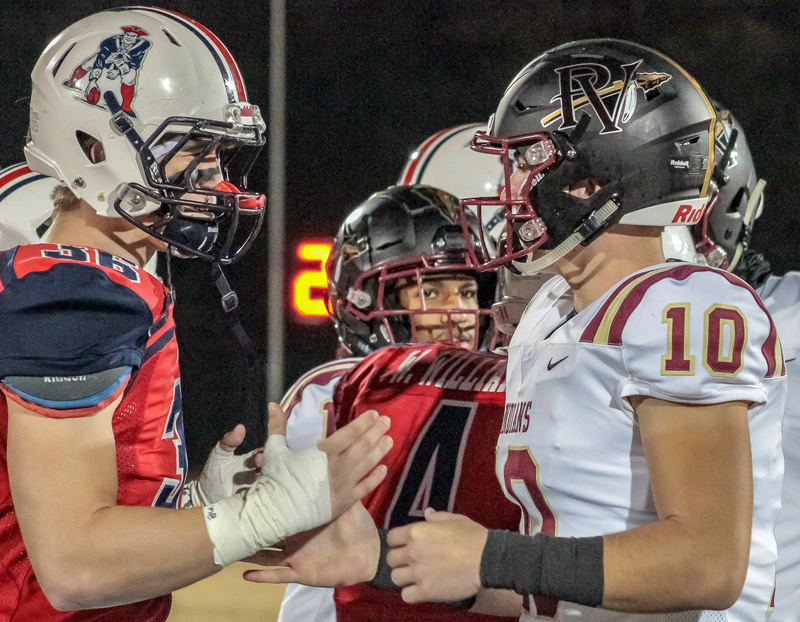 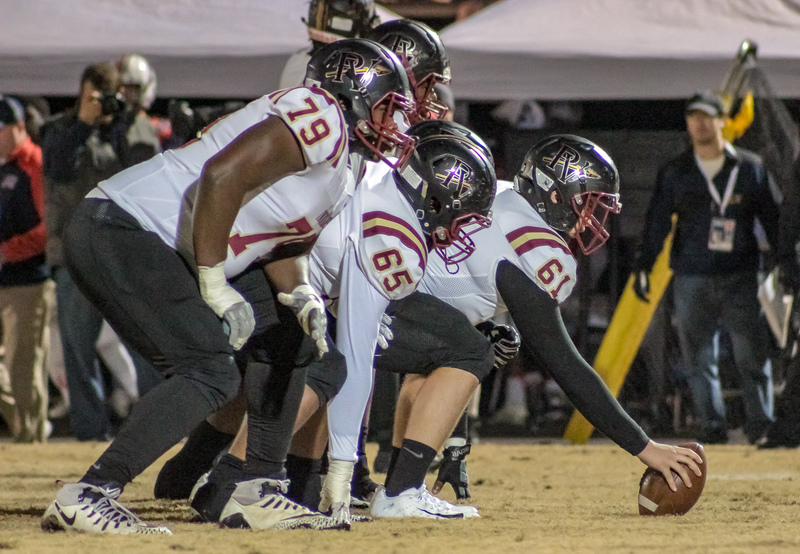 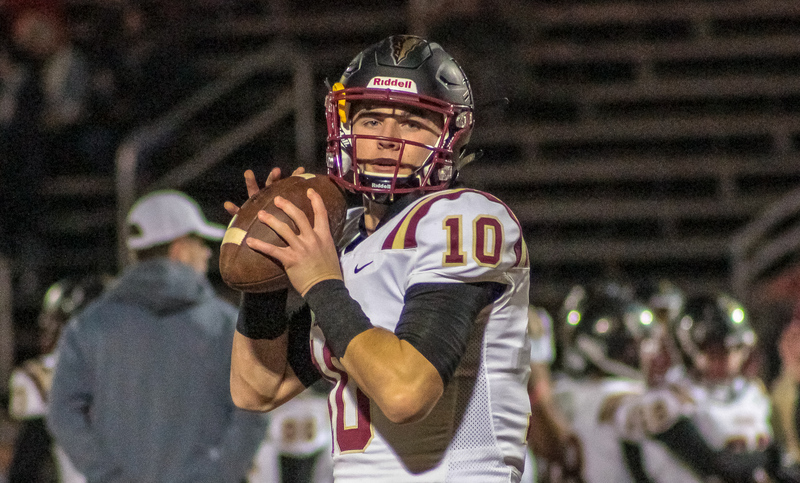 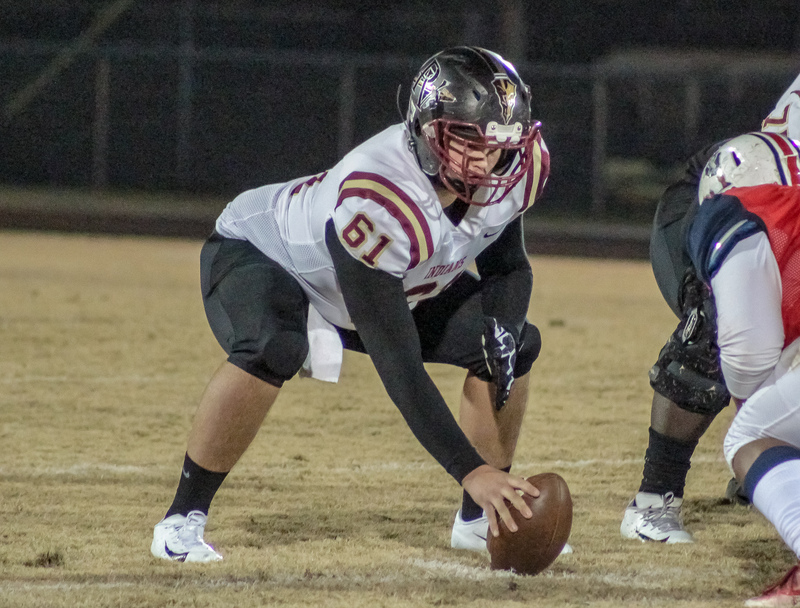 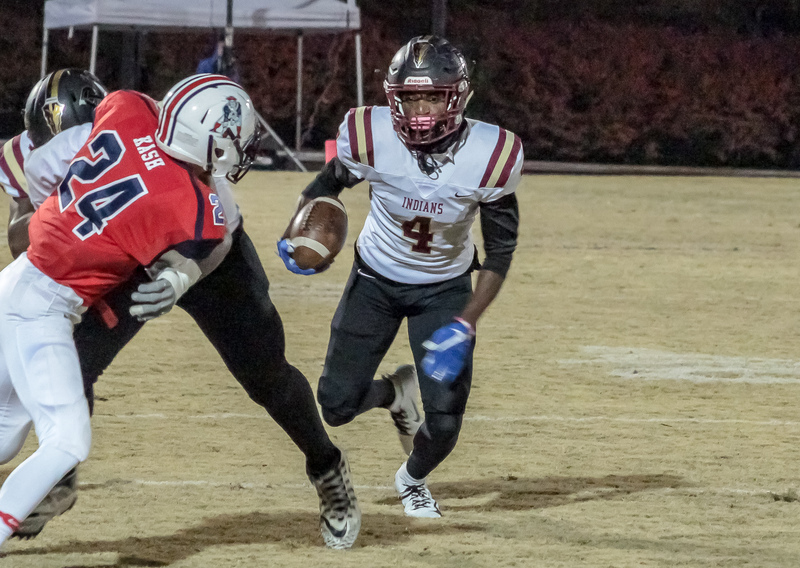 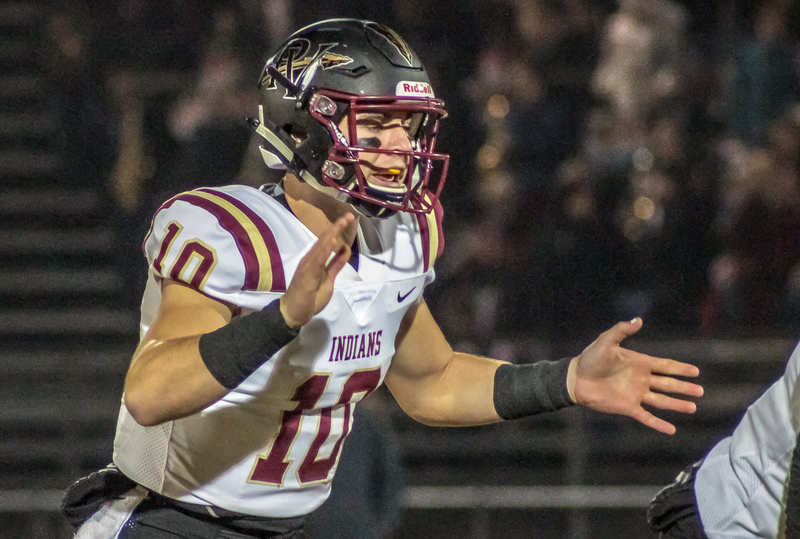 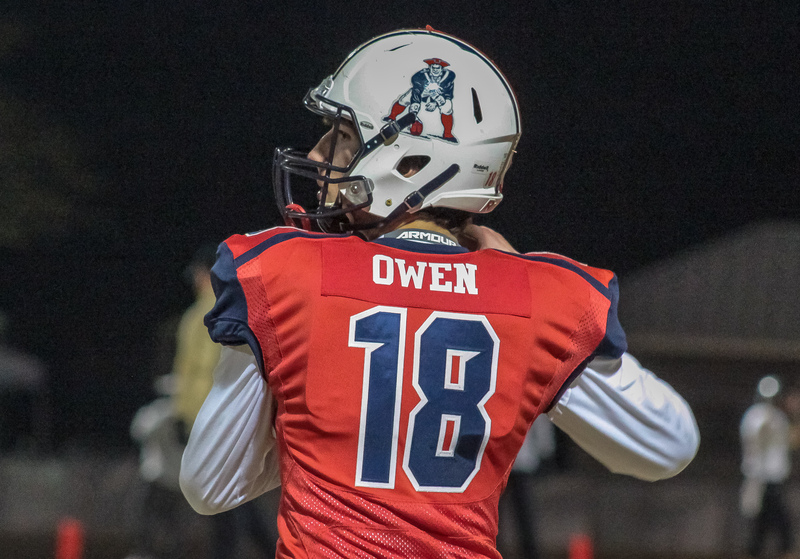 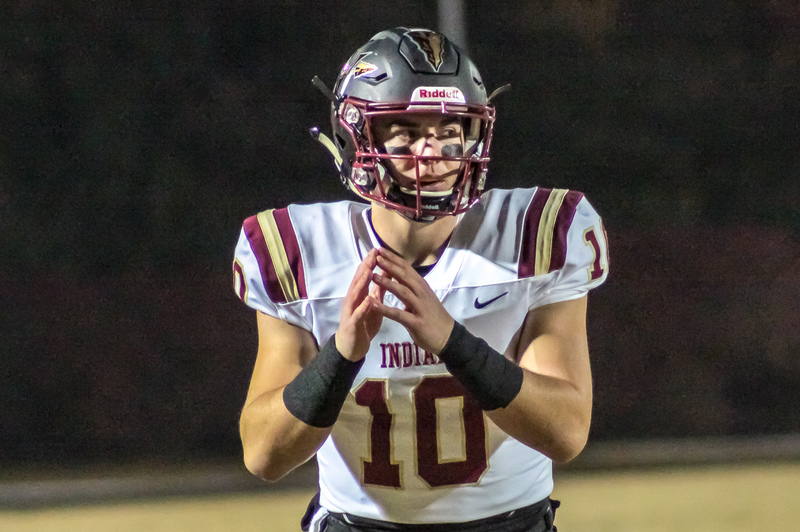 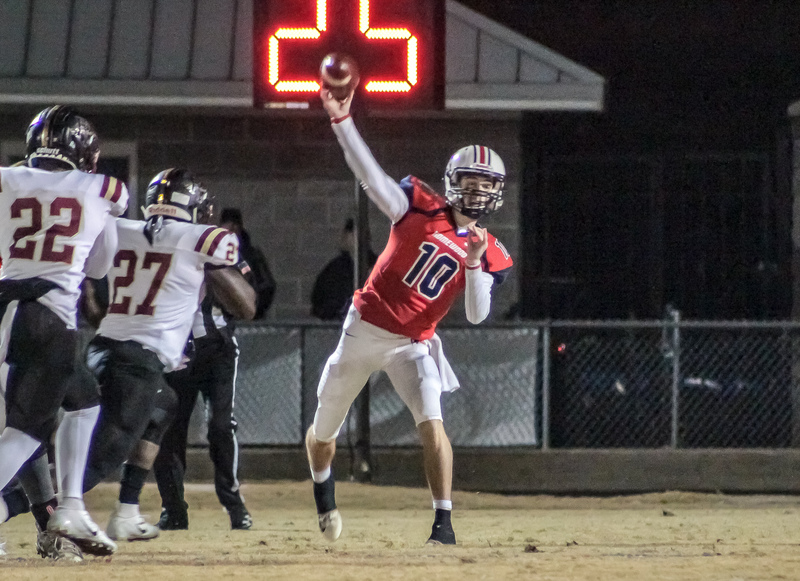 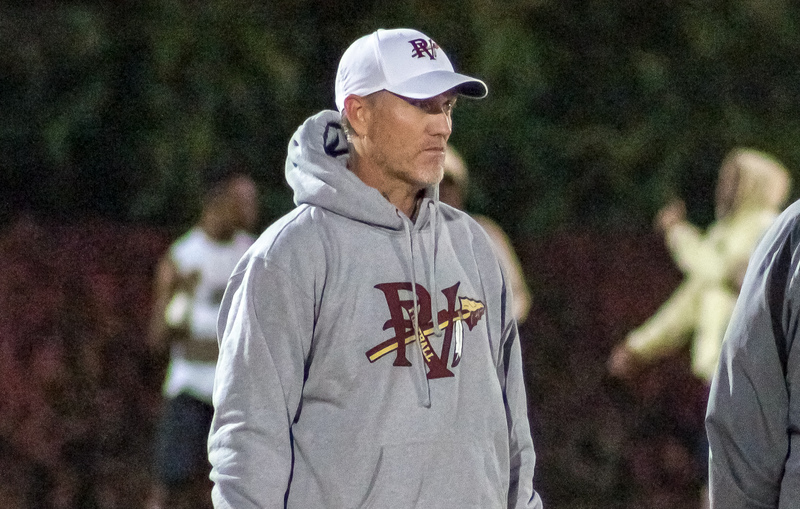 Homewood, AL – The defending 6A state champion Pinson Valley Indians (11-1, 6-0) punched their ticket to the 6A semifinals for the second consecutive year with a 48-7 thumping of the Homewood Patriots (10-3, 5-1) Friday night at Waldrop Stadium. 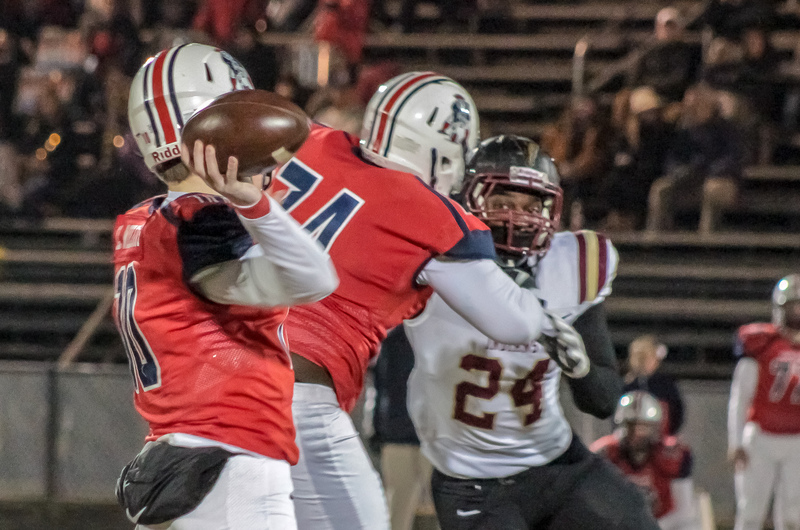 Kenji Christian put the Indians on the board late in the opening quarter taking a Bo Nix pitch into the endzone from just outside the Patriot five yard line. 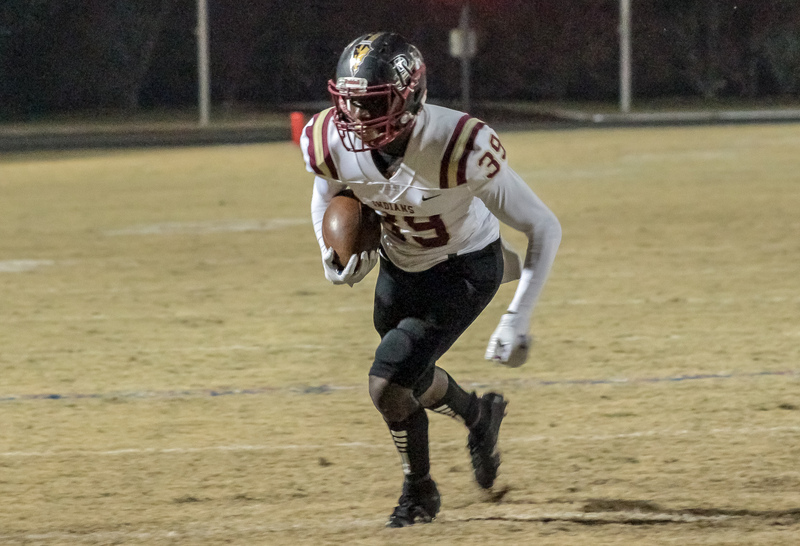 Demarion Holloman and Tye Pouncey snagged touchdown tosses in the last three minutes of the quarter to put the visitors up 21-0 exiting the opening period. 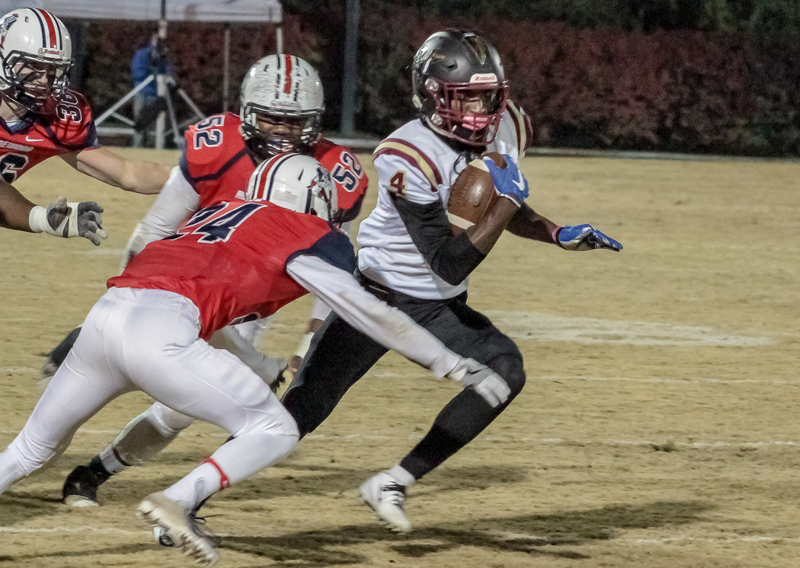 Nix extended the Pinson Valley lead two minutes into the second quarter, dashing into the endzone from 49 yards out. 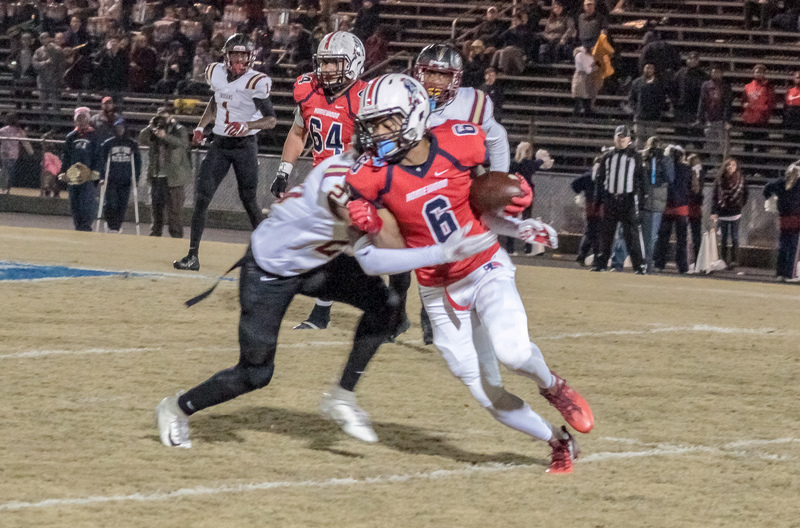 The Patriots lit up the Bob Newton Field scoreboard with four minutes remaining in the half as Marcus McGhee pulled down a Larkin Williams pass from inside the Indian 10. 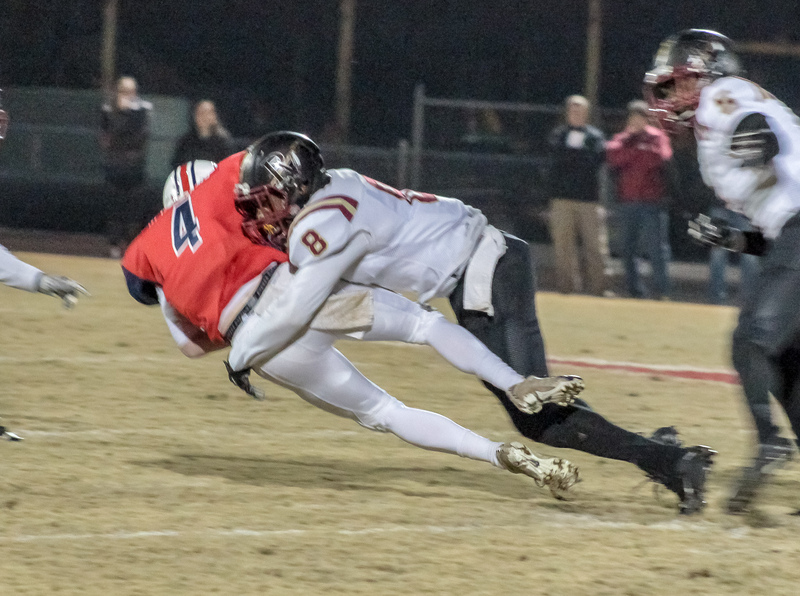 Christian hit pay dirt for the second time, busting a 70 yard run with a minute remaining before the break to give the defending champs a 34-7 advantage heading into the locker room. 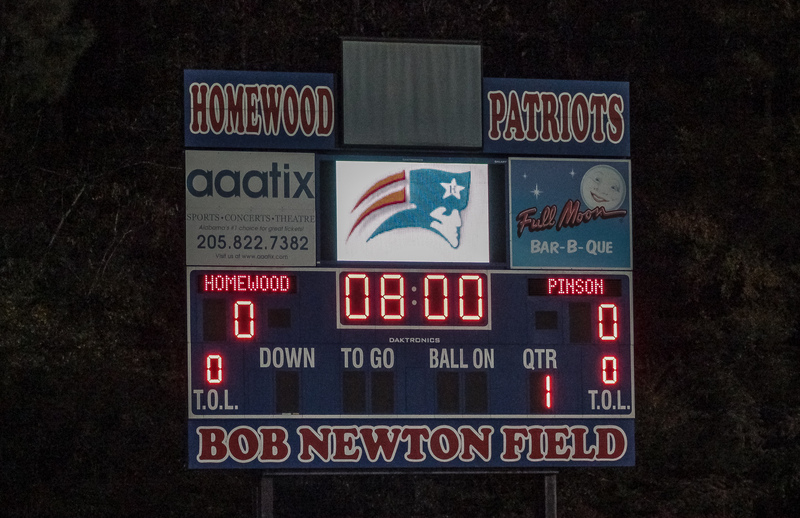 A steady rain rolled into West Homewood in the second half slowing the potent Pinson offense. 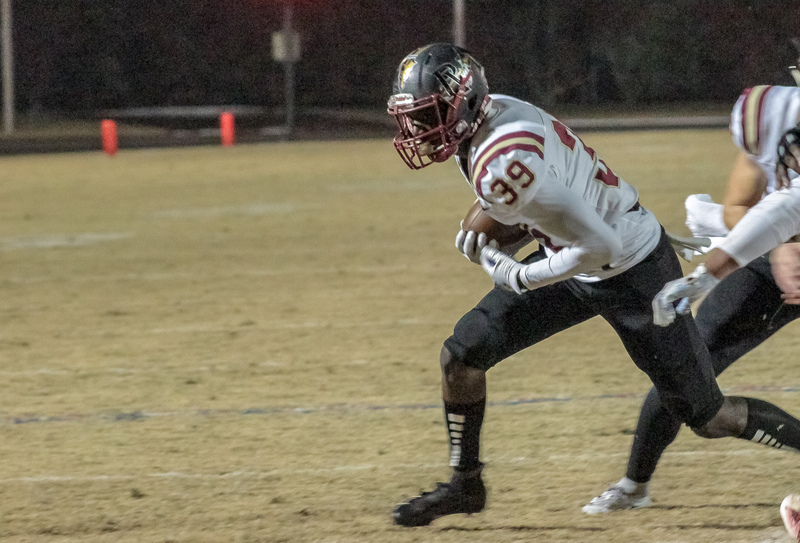 Tye Pouncey and Demarion Holloman each pulled down their second touchdown receptions, both from inside the five, in the second to close out the contest at 48-7. 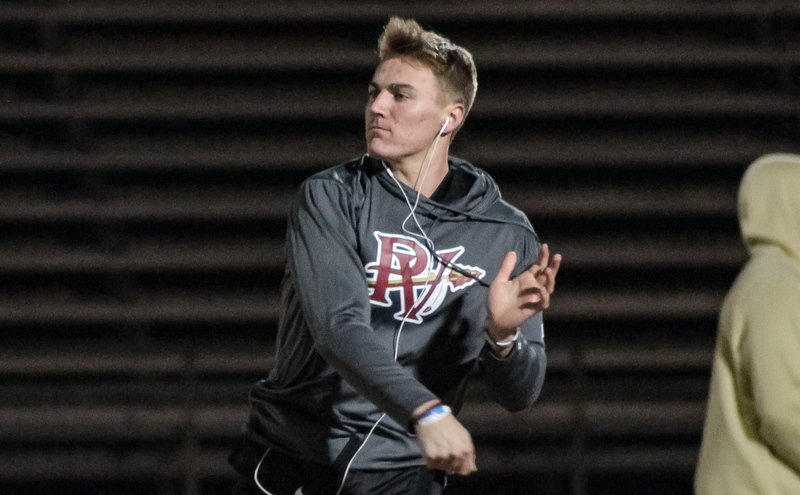 Pinson signal caller and Auburn commit Bo Nix passed for 298 yards and four scores while completing 35 of 22 passes. 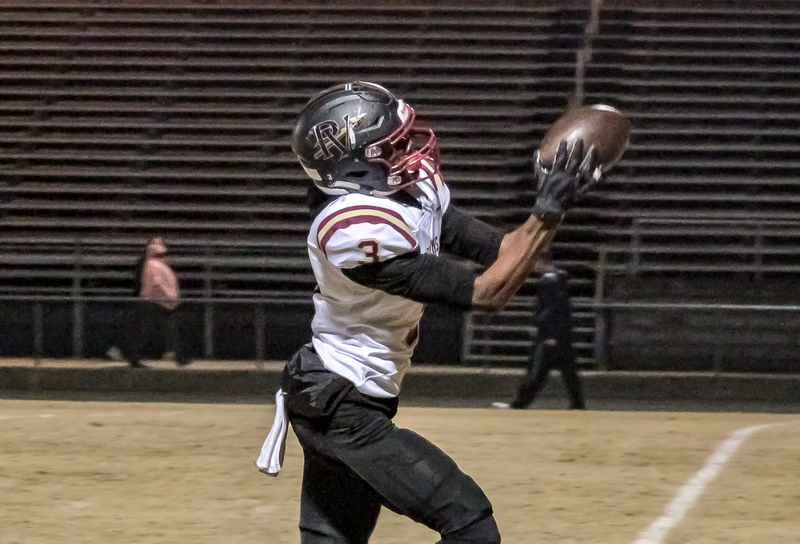 Demarion Holloman lead the Indian receiving corps with nine catches for 121 yards and a pair of touchdown grabs. 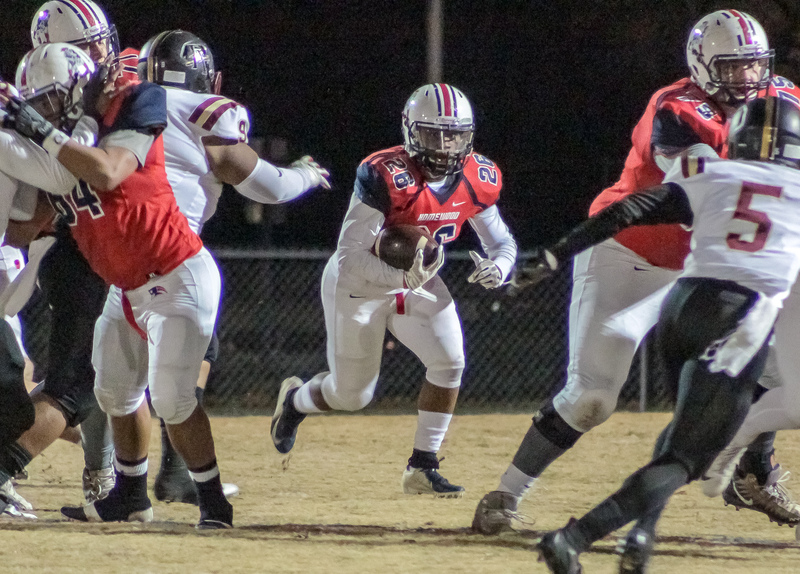 Running back Kenji Christian rushed for 85 yards and two scores. 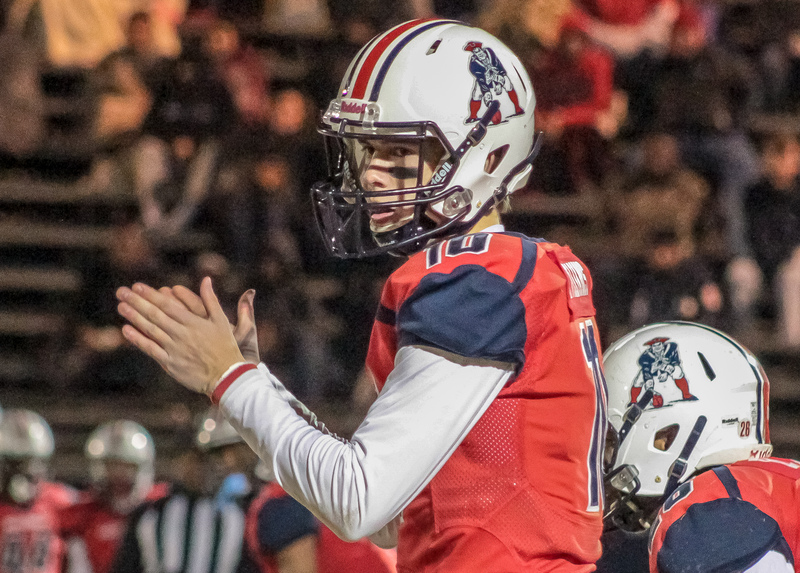 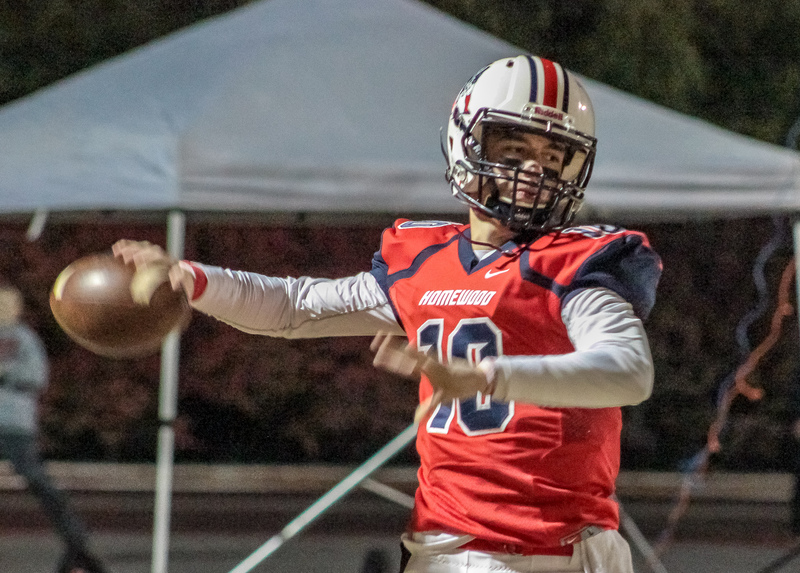 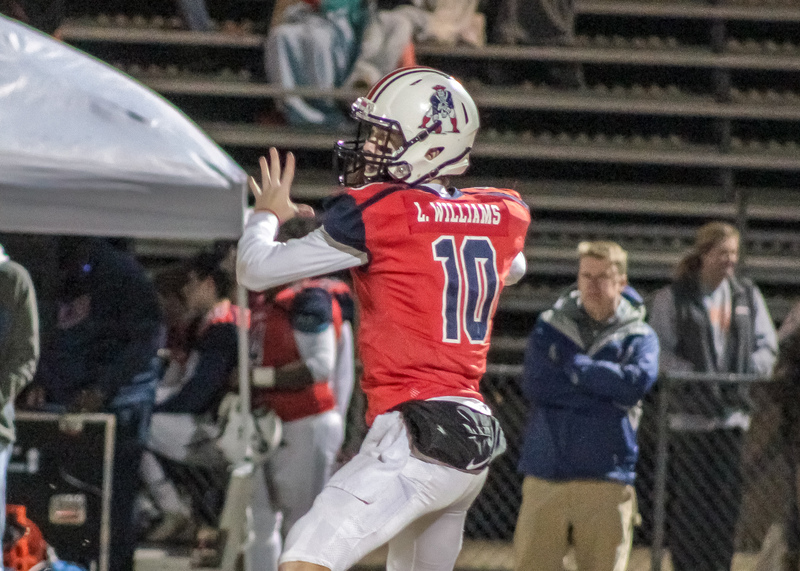 Homewood senior quarterback Larkin Williams wrapped up his Patriots career with 181 yards on 23 of 39 passes and a touchdown. 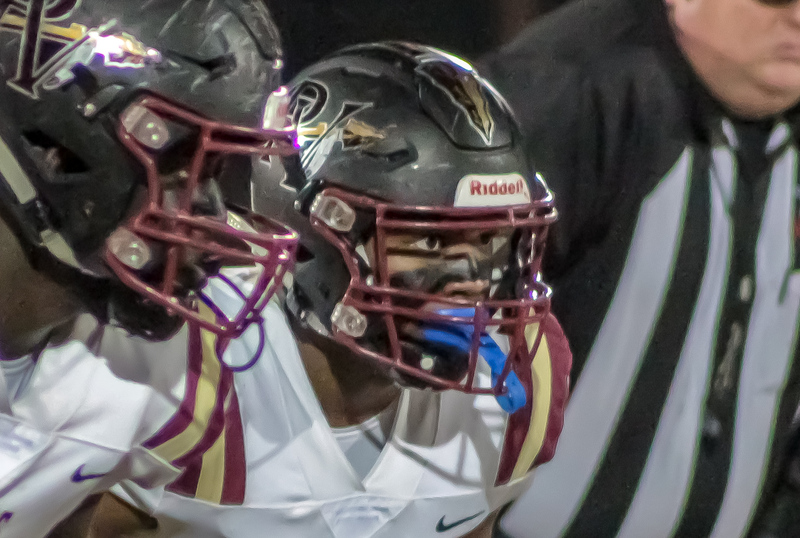 Marcus McGhee hauled in nine Larkin passes for 63 yards. 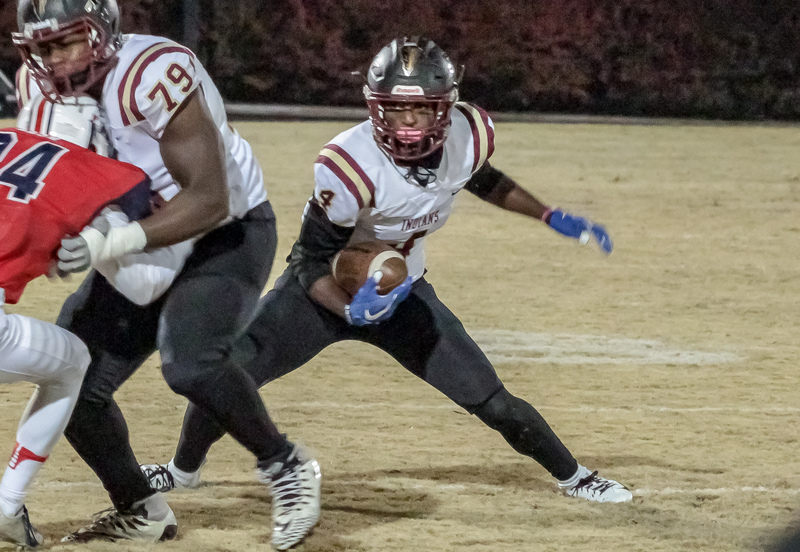 Pinson Valley will host region 6 rival Clay-Chakville (12-1, 5-1) Friday night at Willie Adams Stadium in the AHSAA 6A semifinals. 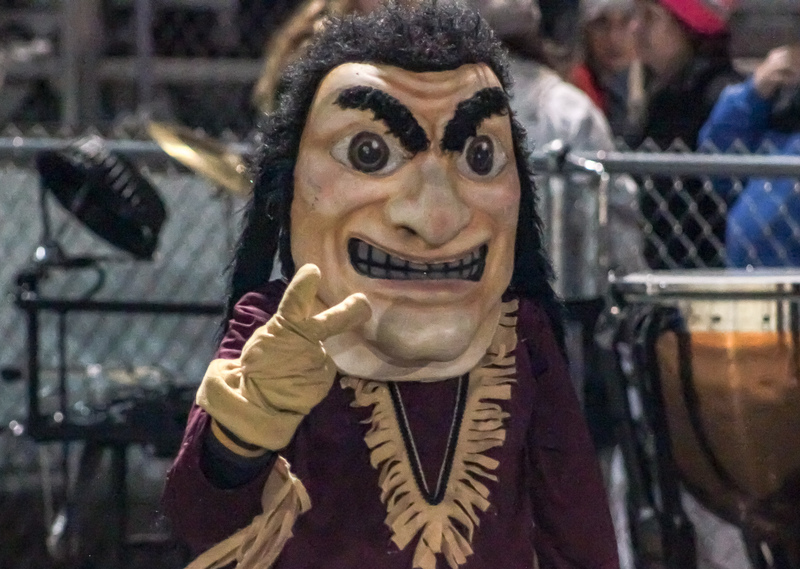 The Indians squeaked by the Cougars 28-21 in week three of the regular season. 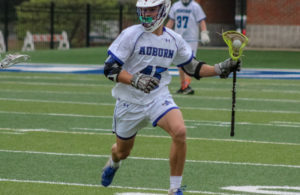 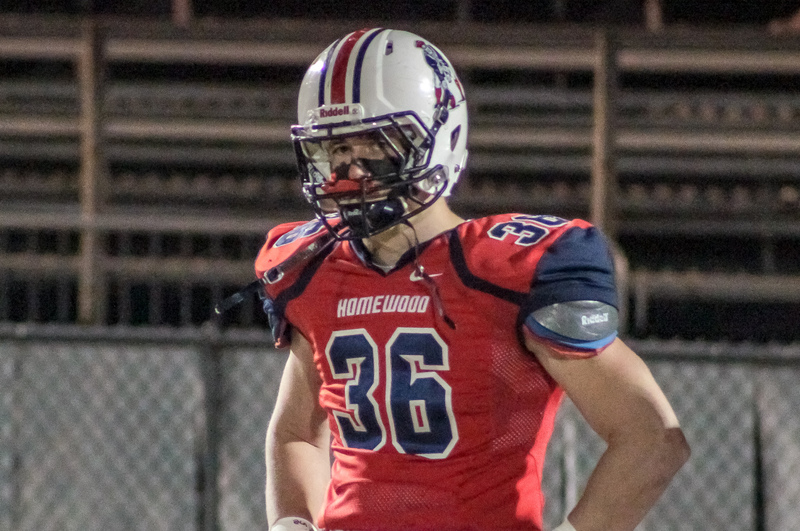 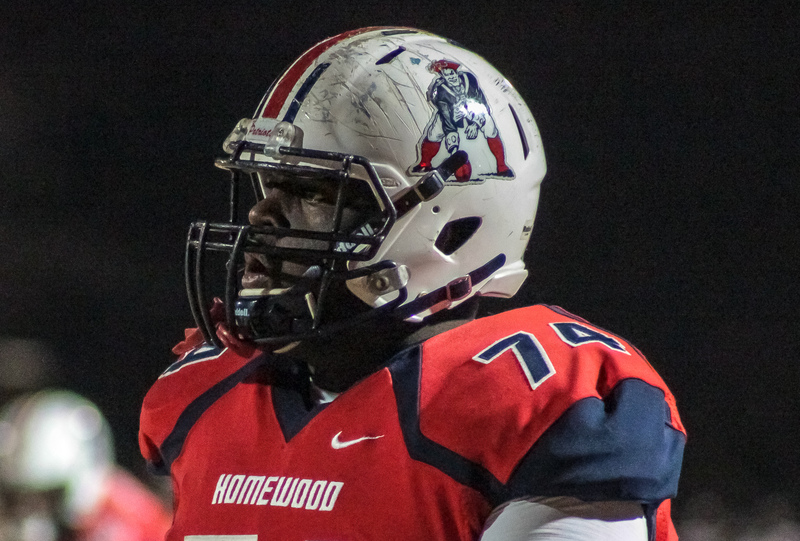 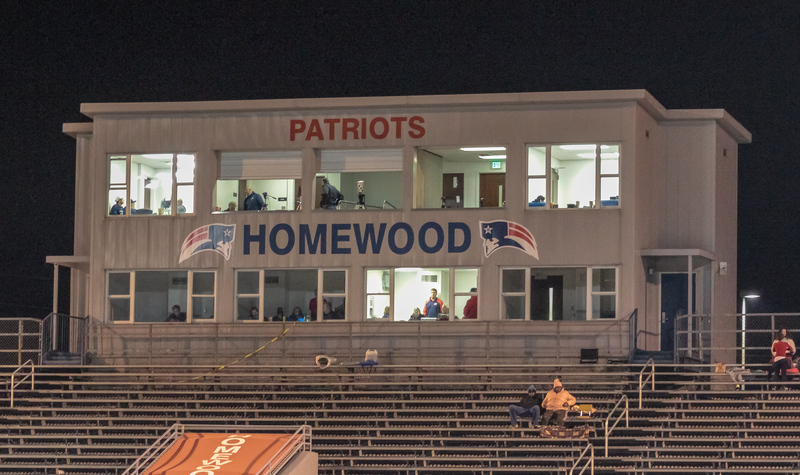 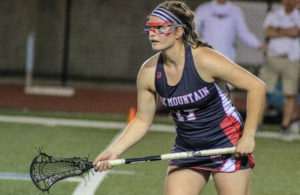 Homewood closed out their second consecutive ten win season and advanced to the 6A semifinals for the first time since 2006. 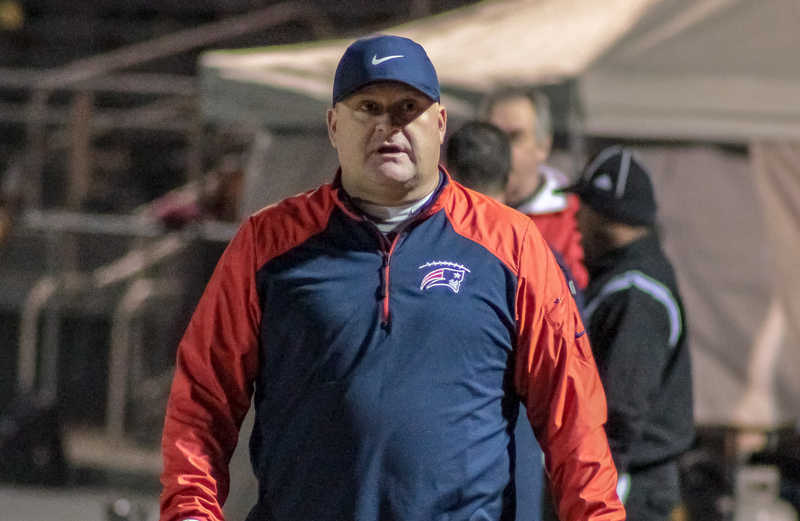 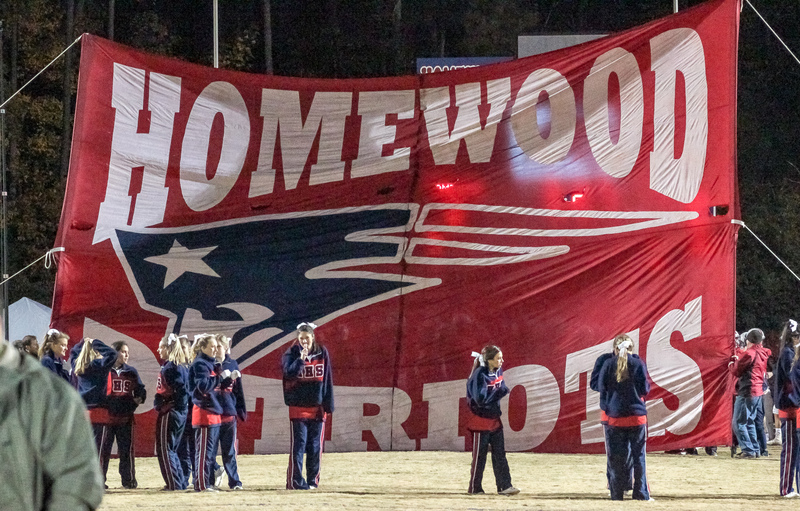 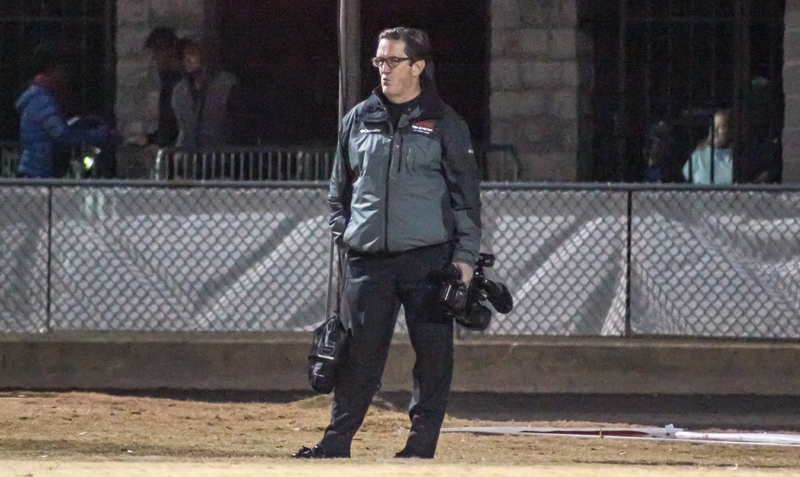 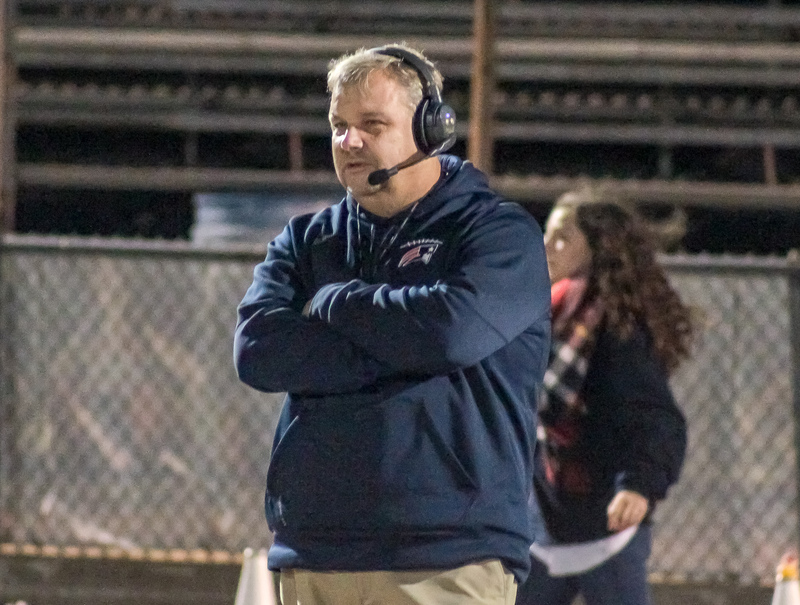 Ben Berguson’s fifth season at the helm of the Patriots was marked by wins over playoff teams Hueytown, Pelham, Center Point, Minor and Jackson-Olin.